For the thirteenth time in a row the European Researchers’ Night takes place in over 300 cities across Europe and in neighboring countries to promote science in an engaging way. The objective is to raise awareness of the positive role of research in society, especially among young people. Global warming, space exploration and many other crucial topics were presented to a broad audience, inviting visitors to the world of science. 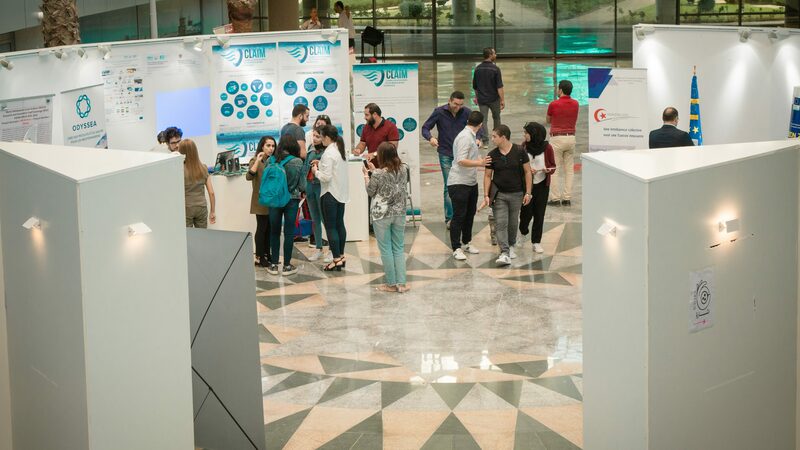 This year for the first time, a European Researchers’ Night was organised in Tunisia with hundreds of visitors getting an insight into research topics affecting society. 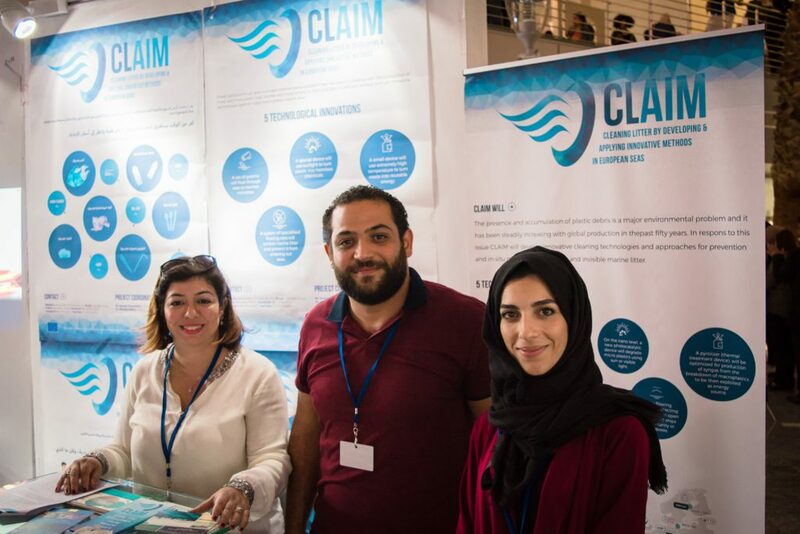 CLAIM took part of the event with the goal to show what research really does for society and presented ways to clean our seas and oceans to people of all ages. The Researchers’ Night took place in The Cité de la Culture, Tunis on 28 September 2018, simultaneously with events in around 30 other countries. Due to unfortunate weather conditions, the Researchers’ Night in Greece was postponed to the 5 October 2018. The delay did not stop hundreds of visitors to attend the event and dive into the scientific world for one day. With the help of slideshows, posters, brochures and postcards, CLAIM showcased life-changing research in an interactive way, allowing people to meet the faces behind science. The event took place in the National Centre of Scientific Research “Demokritos” in Athens. All European Researchers’ Nights are supported by the European Commission as a part of the Marie Skłodowska-Curie Actions, funded under the Horizon 2020 programme. Looking back on a great event! #EuropeanResearchersNight in Tunisia 🇹🇳gave us the floor to educate people about #marinepollution, combining science with fun! 🌍 Tonight is gonna be a good #EuropeanResearchersNight in Greece! Fun & educational, the event will present what science does for society. 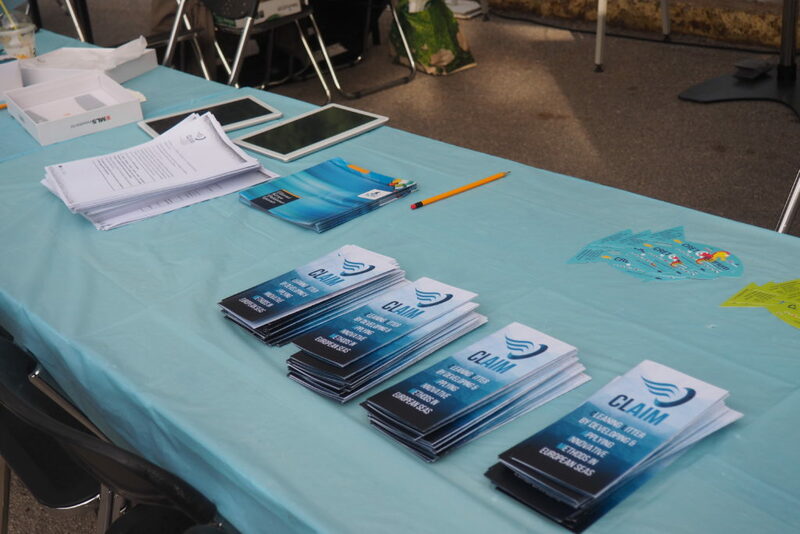 CLAIM will be there to show you Innovative #technologies to fight #marinepollution.